SHMUP Creator: build & blast! 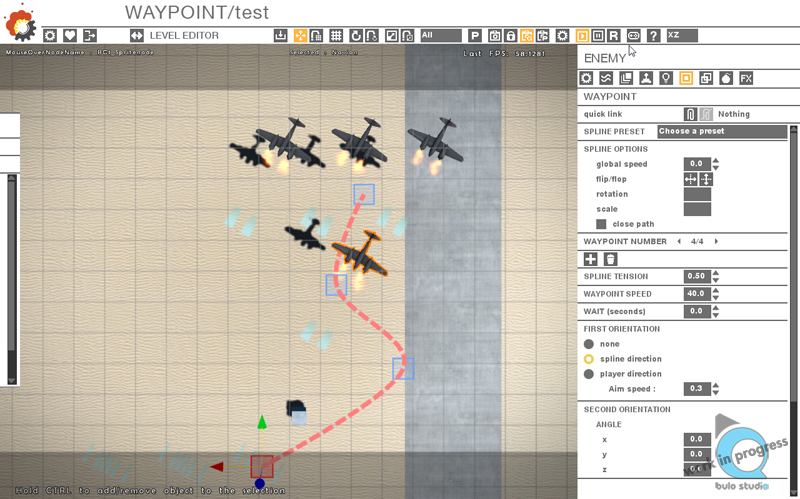 TIGSource Forums Community DevLogs SHMUP Creator: build & blast! 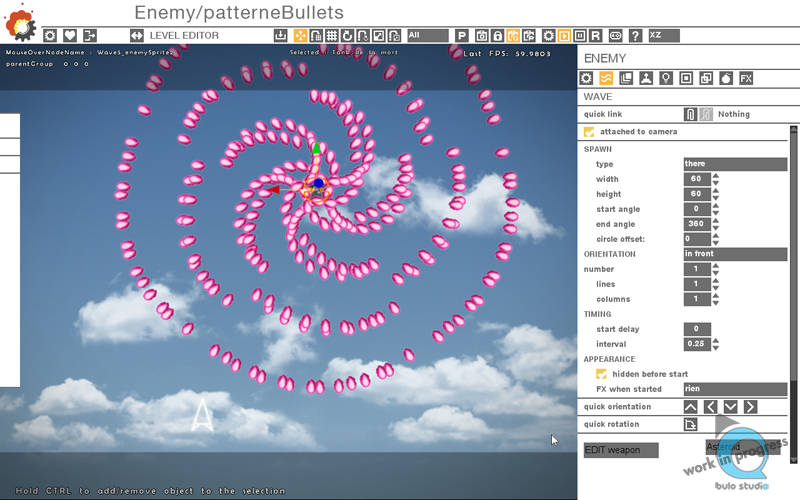 We have been hard at work for months on the development of a tool which will enable people to create their own Shoot’em up: the SHMUP Creator! 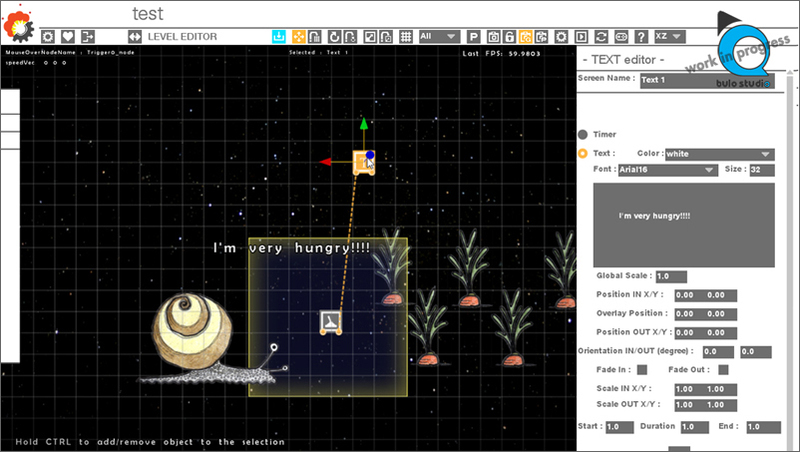 This tool will help users create their own games and easily build levels without coding at all. We are focusing on what is important for shmup games and the development of dedicated tools, keeping in mind the sentence “what makes a good shooting game?”. And I can’t help but quote Hiroyuki Maruyama (G.rev CEO): “A good shooting game? We shoot, we blast the enemy, and they disappear in a great explosion!”. We will include some assets packs with the SHMUP Creator, so that people can start playing immediately, building levels and having fun, without spending 3 months modelling a space ship. Now, with my partner we left the companies comfort zone and founded bulo studio, a small indie studio. The SHMUP Creator will be in Alpha at the end of the summer, well we are doing our best to reach this goal!!! Re: SHMUP Creator: build & blast! 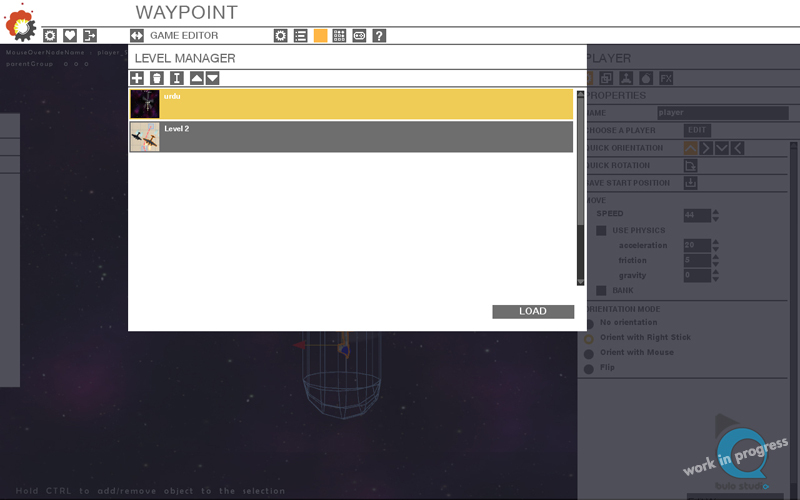 For three days I have been working on the UI: triggers appearance. We had efficient but odd old icons! I made new ones in harmony with the UI look and ergonomic rules. These triggers are located in the "gameplay tab" of the GAME BOX. We'll speak about the game box later, I promise... This is like the Ali Baba's cave! 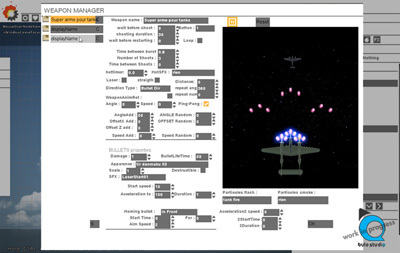 This week I'm working on the assets import in the SHMUP Creator. So, the idea is to let people copy files in an Asset folder created inside each projects, and to automatically and quietly import assets in the SHMUP Creator each time the tool regain focus. The tool then creates the thumbnails, update the GameBox window (which is a kind of assets browser) and checks if files are deleted by the user and behaves accordingly. Right now it's working quite well, even if I need to test it in the next few days. I think we'll add the possibility to export and import asset packs between projects, a bit like Unity does, soon. I'll be happy to hear your thoughts about that ! 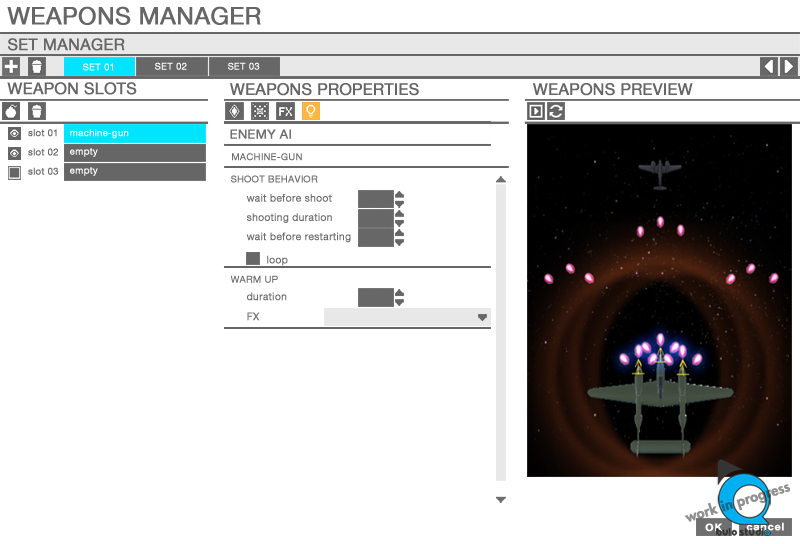 I have been working on the design of the Weapons manager because this window is a little "crowded", I admit. But what is the Weapons manager ? 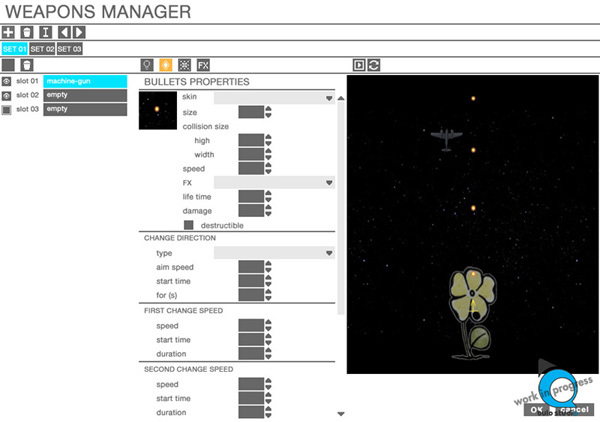 The weapon manager can help the user to create your weapons and the behavior of your bullets. This is a big window with lots of options! So I have tried to clean it up, organize the options and make it understandable. For this kind of task, the first thing to do is, I think, go meet the programmer and work with him with a piece of paper and a pencil. 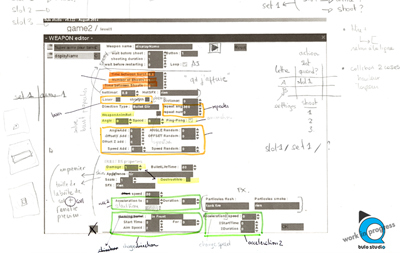 Then, prototype with a graphic Software. Now, I have tabs instead of all the options on the same page. I really don't know if this is the best way to organize the options in the window... Because maybe people won't pay attention at the tabs and will miss lots of properties... What do you think? 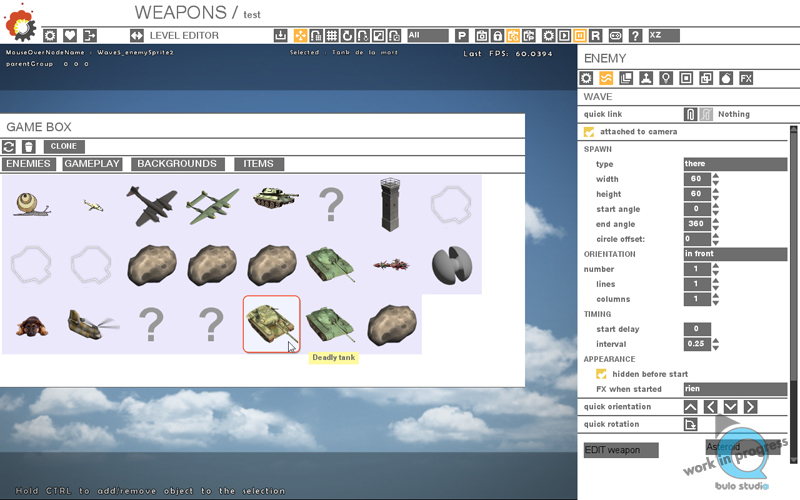 Now, as soon as the programmer stop saying rude words coding the new weapon system, I will implement the new Weapons manager! This looks great! Can't have too many game creator tools. I wasn't very satisfied with the last new version of the Weapons Manager. All the ideas were there, but, the organization of the properties were a little messy, not intuitive again. I have worked on it again. Grrr! Working on the UI takes time, papers and pencils, meetings... because usability and ergonomic are very very important, well we are working on a tool, so this if the main rule about designing properties and options! This is not just a question of design, now it must work inside the tool! 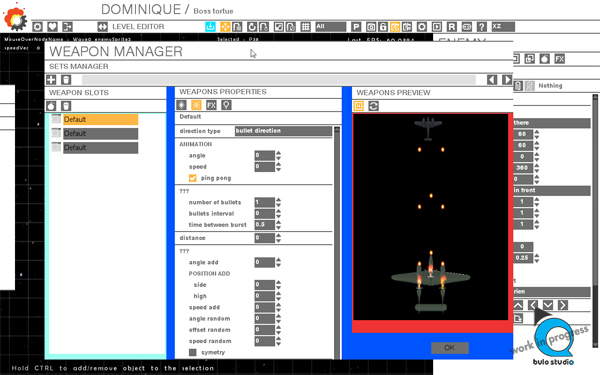 The Weapon Manager, little by little looks like a real Weapon Manager from the 2d software design to a real window working inside the tool!!! We keep focusing on the last big and not glamorous tasks before the alpha. There are not so many, but this is typically the kind of tasks you keep for "another moment" and you postpone and postpone thinking and working on it! One of the last tasks was "text" stuff for the trigger/text (displaying messages during the game ) and, in the Game Editor/Menu editor (create your menu for your game). To help us making the good choices for the design of these parts, we tried to find "good" reasons. I said "good choices" and "good reasons" because we have to sacrifice possibilities and controls for a real pleasant and comfortable usability. Indeed, we are not working on an Engine. We just want to develop a dedicated tool without programming which goal is to have fun and build a game easily. So, for the text options we have decided to limit the options and offer presets. And, by the way, who loves spending hours designing menus? 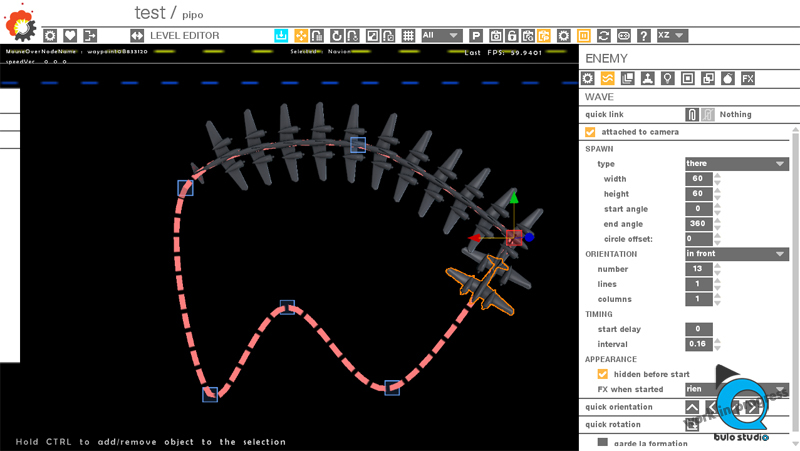 So this is essentially the Blastworks editor without the UI that makes you want to throw up your salami sandwich from a week ago, right? Ha, joking aside, this definitely looks interesting and well thought-out. Interested to see where this will go. However, I'd do something about all that white menu coloration. Its very unappealing to look at. I don't know about the salami (but I can understand ) , but Blastworks is a level editor on top of an actual game (Tumiki fighters). So, its use is limited to making blastworks level, in a way. With SHMUP Creator, we are trying hard to provide people with tools they can use to create any shoot em up, with any art style and such. Which is the hard part, to be honest! 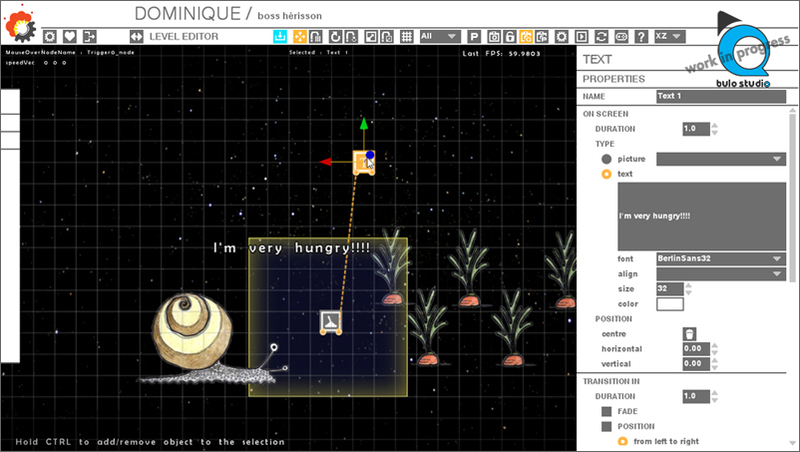 So much nostalgia for an old game creation tool that was vaguely drag and drop, I need to find that now. Hard to know without using it (or playing some game made with it) but looks useful, keeping an eye on this. 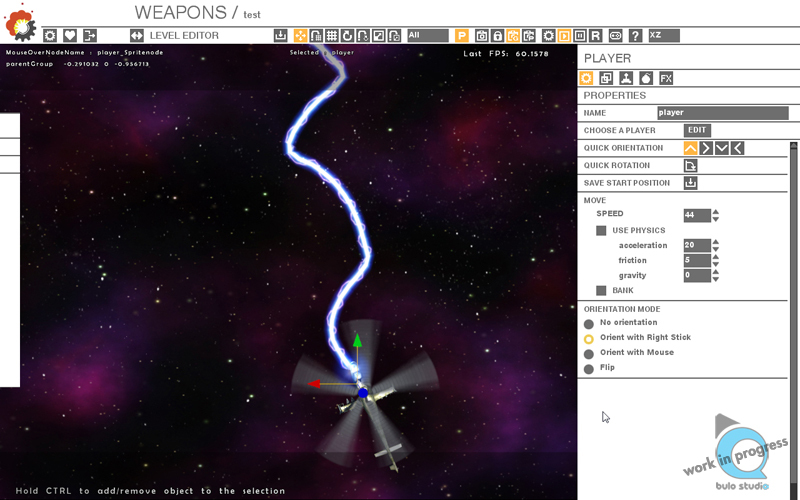 We'll post a game demo soon to let people understand better the type of games they can make with the tool. Unfortunately, we are doing contracting jobs for a few weeks right now, which is useful to pay the bills and keep our independence, but really frustrating when we want to make progress quickly. We'll keep you posted of our progress when we'll be able to go back to work. Nice. Always interested in game dev tools. Keep up the good work! This is getting all kinds of awesome. Nice to know people are still finding my tutorials useful . This looks really good, looking forward to seeing the finished thing. And yes motorherp, I still find your old tutorials absolutely well made and still informative. They are more and more difficult to find on the web though. I might have missed to part on what paltform you can export your project on. I assume that this is for pc gaming ? I might have missed to part on what platform you can export your project on. I assume that this is for pc gaming ? Yes it is, for now. Maybe, maybe a mac version one day, but no plan for android or ipad.